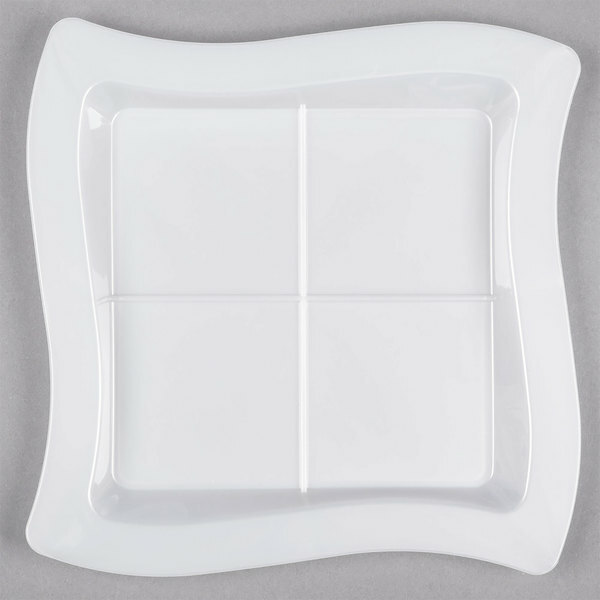 Delight guests as you serve your sweet and savory creations with this Fineline 6206-WH Tiny Temptations 7 1/4" x 7 1/4" white plastic tray! 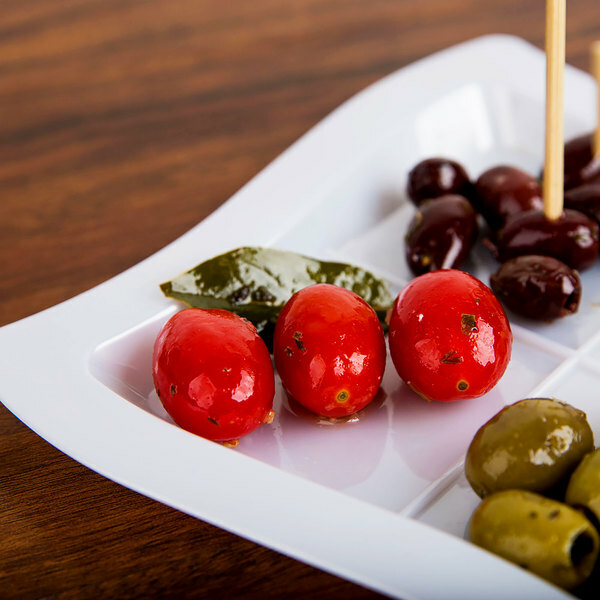 This heavy weight plastic tray provides the perfect setting for trendy and petite offerings like bite-sized hors d'oeuvres and desserts. The plastic construction is also a convenient, cost-efficient alternative to fine china. 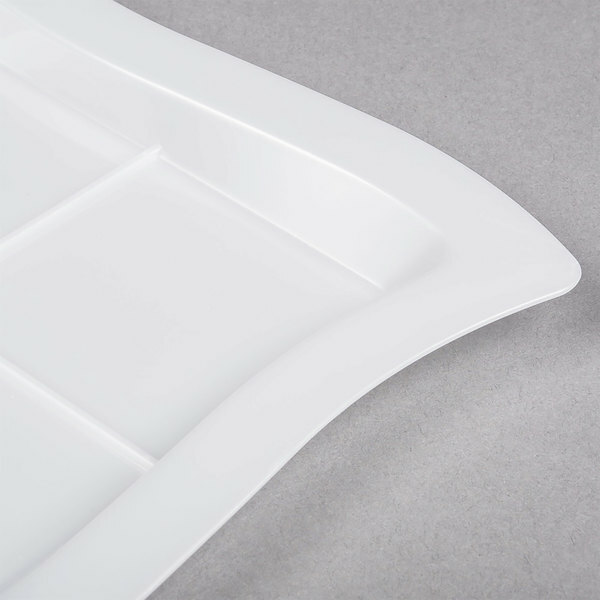 It features an attractive wavy edge, as well as a high lip to prevent anything from sliding off the tray. Plus, the four separate compartments help keep different foods from mixing, so everything looks and tastes as it should! Perfect for your cocktail party, upscale catered event, or special occasion, you can pair this piece with the rest of the Tiny Temptations collection and wow guests with your contemporary and trendy food presentation. Once service is over, eliminate the hassle of cleaning and transporting as you quickly and easily dispose of this tray. Tiny Temptations' sleek, modern design is sure to refashion every meal into a stylish occasion. 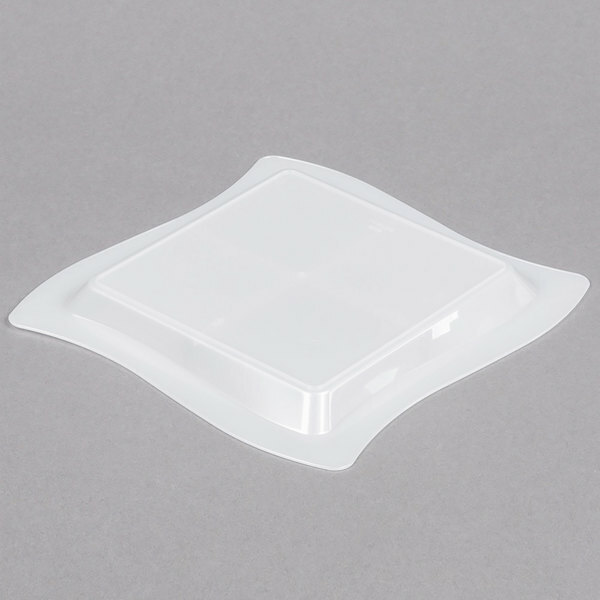 These Fineline tiny temptations 7 inch plastic plates are really great! We used them to serve up a salad. We separated the salad components into the separate squares! IT really looked awesome.